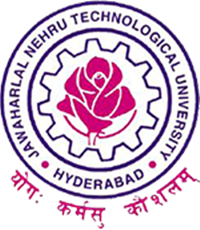 All the JNTUH Constituent & Affiliated Colleges offering M.Tech,M Pharm and MBA Courses. The principals are informed to note that the convocation is likely to be held in the month of February, 2018. Hence you are informed to communicate the same to all the 2015 admitted M.Tech, M.Pharm and MBA students to Submit their dissertation soft copies before 04-12-2017, so that the university will evaluate against the anti -plagiarism software and conduct the project viva exams before 31-12-2017.